As the lead agent for Team Tait Real Estate, I'm dedicated to leading with integrity and honesty above all things, with a dedication to staying on top of the Arizona real estate market, industry and trends. On Team Tait, we lead by serving, believe in balance, and adhere to business principles as laid out in Proverbs. I’ve been in the real estate industry since 2002. I decided to get my real estate license so I could represent myself in building my real estate investment portfolio. But the strangest thing happened. I fell in love with the ins and outs of real estate. I say it’s strange because I’m a Creative with a professional background in Sales and Marketing/Advertising and a major in Dance with a concentration in Choreography. For the legalities and intricacies of real estate to grab me the way it did? Hey, who knew? So I began working with clients as a full time REALTOR. I put my marketing background to use on my clients' behalf. What I found was that real estate was rewarding, challenging and fun all at the same time. There's nothing like walking my clients through the process and seeing them happy at the close of escrow. Through my years in the real estate industry, I took my experience as a successful real estate agent and my marketing background and became a Special Operations Manager at a title company owned by Fortune 150 Company Lennar. I've worked with several real estate brokerages on their branding, mortgage banker AmeriFirst Financial as a Marketing Strategist, and have coached hundreds of real estate agents to success in their career. Together, my husband and I are also real estate investors and second home owners. 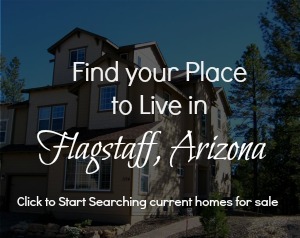 Over the years we have enjoyed helping clients with their own personal residences, their second homes, and building up their real estate investment portfolio in the Valley (Scottsdale, Paradise Valley, and Phoenix) as well as the mountains (Flagstaff). We're both passionate about sustainability in real estate, and are the ONLY currently active REALTORS in Flagstaff to hold the prestigious GREEN designation from the National Association of REALTORS. 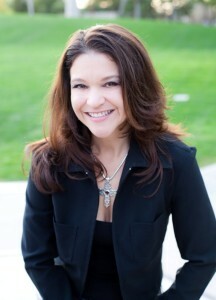 As a multi-market real estate agent with Realty ONE Group Mountain Desert, I work with buyers and sellers in the Flagstaff, AZ area as well the Scottsdale/Paradise Valley/Phoenix area. Together my team and I work with you from the Mountains to the Valley to help you with the place you call home! I'm passionate about dedicating my time, talents and resources to causes in which I believe. That's why my husband and I volunteer at Sunshine Rescue Mission and Hope Cottage in Flagstaff, Arizona. This Christian based homeless outreach is an amazing organization. I also sit on the event committee for the Women's Golf Classic for Junior Achievement. In the Valley, my husband and I - along with our two daughters - are members of Scottsdale Bible Church. In Flagstaff, we love Grace Community Church and call it home. If you're still reading, I'll let you know that I'm the Founder/President of the Strong Single Mom Network - an organization that brings community, resources, and empowerment to single moms across the globe. I'm also the author of the children's book "A Time to Fly." And that about sums it up. My team and I look forward to working with you and learning all about YOU now! Read "A Time to Fly"